THE LAND BEFORE time is stuck in every kid’s mind as perhaps the first time they realised the world wasn’t all toys and sweets. The animation, about a little group of dinosaur friends trekking to find the Great Valley to avoid the intense drought in their land. 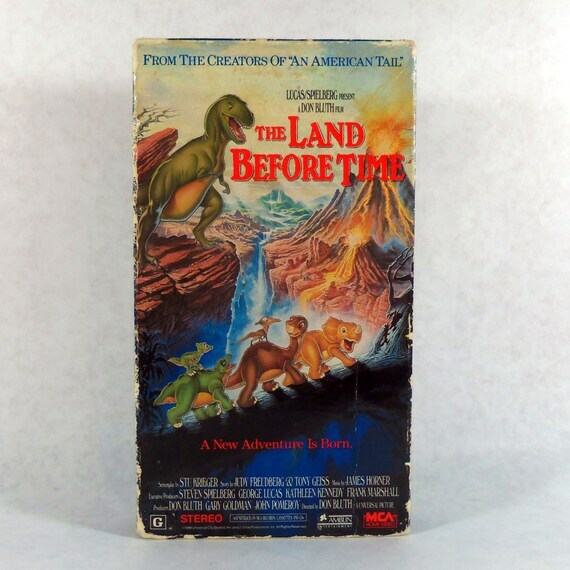 Littlefoot’s mother is killed by a vicious T-Rex, but her spirit guides the crew on their way. So we can claim it? We’re claiming it. The Sullivan Bluth studios moved their HQ to Dublin mid-movie, and even helped set up an animation course in Ballyfermot college. Dino families were cut in two! Screw you sharptooth! Not since Bambi did you cry this hard. OK, maybe Dumbo. His anxiety and inability to fly = you. 9. Remember when he sees the tree star and his mammy gets it for him? THEN ONE FALLS WHEN HE’S MISSING HIS MAM? Mam, mam, get up, I love you. LOOK AT SPIKE’S HEAD. MY GOD. THEY’RE BEST FRIENDS. 14. But hey, doesn’t it all work out in the end? 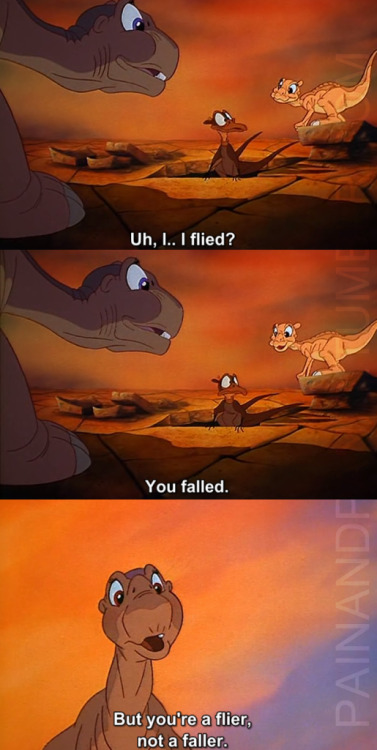 Email “14 ways The Land Before Time emotionally destroyed you as a kid ”. Feedback on “14 ways The Land Before Time emotionally destroyed you as a kid ”.